Many families with school-age children took a short trip on fall break. It’s a time when lots of people in our area of middle Tennessee area head to their favorite spots along the Florida and Alabama gulf shores or make a trip to the Great Smokey Mountains. About four to six weeks after the memories of fall break have given way to anticipation of Christmas, you might find that you have brought home an unexpected souvenir from the hotel or condo you stayed in during fall break – bed bugs! It’s not that bed bugs are particularly bad along the gulf shores or in eastern Tennessee. Bed bugs are a problem in every state. Staying in hotels and rental condos increases your risk of picking up bed bugs and taking them home with you. So what can you do? You can’t just stay home all the time! Obviously, you need to be vigilant about the accommodations you choose. But remember that bed bugs are everywhere now. So paying a high price for your accommodations is no guarantee against bed bugs. 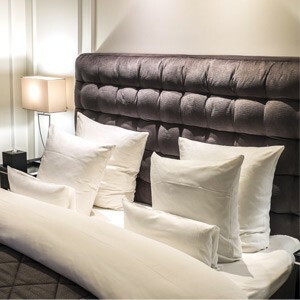 Naturally, you can ask the proprietor if they have had a recent infestation, but you should also make a physical inspection of the mattresses as soon as you check in. If you find signs of bed bugs, cancel your reservation and find someplace else to stay. If you are unlucky enough to bring some bed bugs home, you might not know it right away. In some cases though, especially if you have experienced bites when away, you may discover live bed bugs within days of returning. However, for many, the problem of a bed bug infestation doesn’t show up for four to six weeks. It takes time for a small number of bed bugs to be discovered. They are nocturnal and very covert in their activities. So after any trip or vacation, it’s a good idea to set a reminder about four weeds out to start checking your mattresses and start checking for itching and bites on the upper torso. Then call us at the first sign bed bugs. Taking action quickly minimizes the spread and the expense to exterminate them. For years, we have offered Nashville bed bug treatment and extermination in Nashville, Franklin, Brentwood, and the surrounding areas. Bug Authority has also recently expanded our bed bug treatment and control services to Hendersonville, TN. If you live in Hendersonville and think you might have bed bugs call Bug Authority at (615) 472-1292.